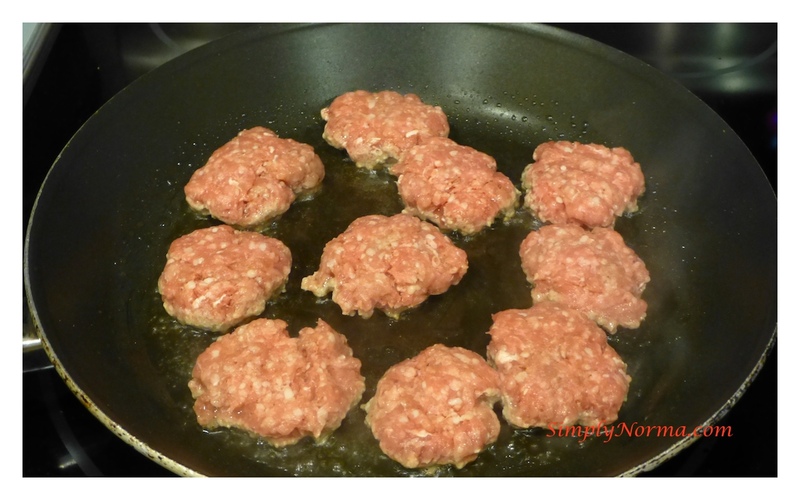 These paleo Lamb Burgers were easy to make, delicious, but a tad expensive. And the expense includes driving around looking for ground lamb — not an easy search, at least not in my Minnesota neighborhood. But, I finally found a small, off the highway, market that I walked into that has a full butcher shop in the “back” called Hagberg’s Country Market. The cashier told me she had worked at a large supermarket nearby for 27 years but would never go back. Nor, she said, would she purchase meat from anyone else as the flavor you get at Hagberg’s is superb. I don’t believe she was biased either. You’ll be grilling these burgers on the stovetop after combining the ingredients together. Since we’re still on a paleo diet, we are eating very little bread (except for the occasional “cheat”). So, I attempted, and failed, to put them on large lettuce leaves but it didn’t turn out well as the rest of the ingredients made it quite heavy. Next time we’ll use cut-up lettuce on the bottom which will work perfect then we’ll stack the veggies on top, i.e. lettuce, tomatoes, avocado, cucumber and a tad of feta. This is what it looks like — quite scrumptious! Preheat your skillet to medium-high. Put all the ingredients (except the vegetables) in a bowl and mix together (hands work great for this). Form the meat into 6 large balls or 10 small balls making sure not to flatten yet. Place the balls on the griddle and press down with a large spatula to make thin patties. 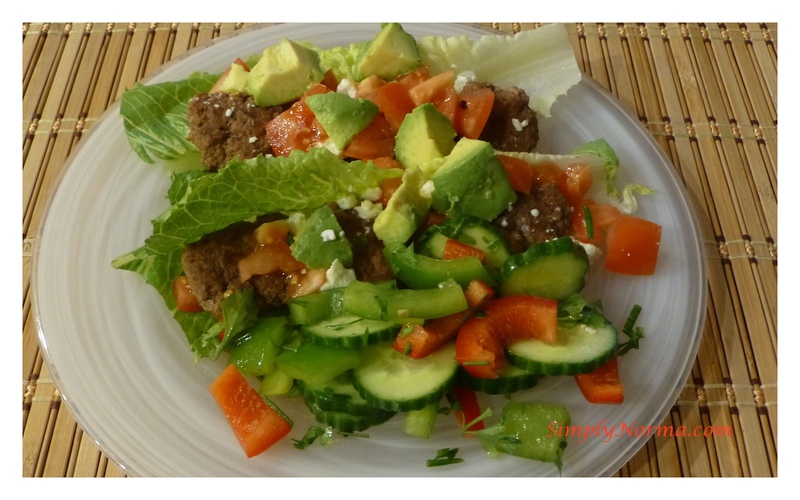 Place the cooked patty on a plate then top with cucumber, feta, lettuce, mint, tomatoes and avocado or any other vegetables of your choice. These burgers can be made ahead of time. Make sure you check for “doneness” using a meat thermometer. For medium (which I don’t recommend as I don’t eat meat that is not fully cooked) the recommended temp is 160. So keep them on there a tad longer and make sure nothing red oozes out. Then sit back and enjoy your dinner.